I really liked this…so tender. Love that word, tender :)) thanks so much. I meant it. And thanks for the poetry, although I’m sure you do it as an expression of yourself more than anything. I really appreciate your words- it means everything to know it touches others in some way- I love that- thanks so much for sharing with me. Another great poem. You have a serious writing gift girl. Don’t stop.. Words that make you “sigh”, beautiful artwork too. Breathtaking flow of you. I am in AWE! Well that’s how I feel every time I visit your blog Jay! Thank you so much for your kindness. someday may never come jc fogarty . two to one one is now without the other. a lover no more her cover stays . and the words play on! A beautiful introduction for me to your poetry. Lovely. What they said. Really evocative memory one can feel and well matched to the painting. Thank you so very much Randstein. you have made my day the beauty of this pic captivates my creative pose. This was such a sad, poignant post with beauty and grace displayed in your writing. You help me to picture someone in this moment. How do you think of my blog? hauntingly beautiful! you words always leave me breathless! That means a lot to me Lori, thank you so much. Thanks for following my blog! I appreciate it very much. Did you paint this? It is lovely! beautiful use of words and image. 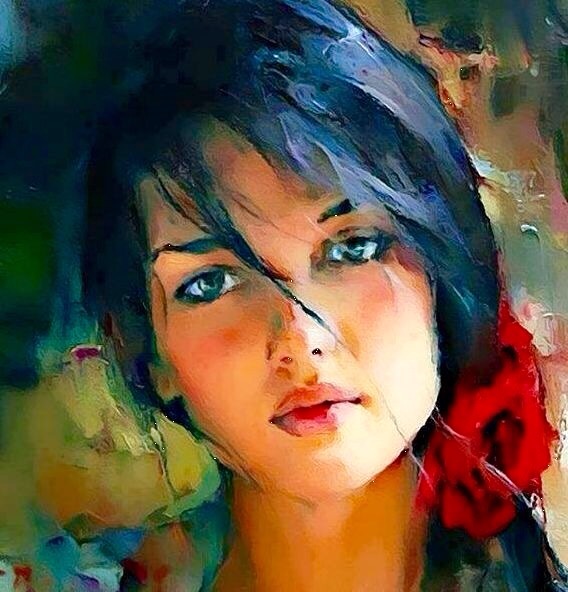 Very pretty painting. Did you paint this? Yeah, I can’t paint anything. I frustrates me. I should have taken some kind of art class in high school. I fail even at paint-by-numbers. Go figure. Well screw the numbers- just put your hands in some paint and get a little crazy! I doubt Pollock followed any lines- he just invented his own. It does sound therapeutic. Cheer, dear.